The future action plan is being prepared for this. On the political persecution ... thereby opening up a debate on the national level on the changes in the system, the symposiums and meetings. As part of this, it has been decided to visit all the country and consult all departments. Consequently, all the nation's nation is preparing to meet with each group that wants to be cool. In 2016, the KCR is shifting to Delhi. In his interview to a magazine for the first time since the formation of the state, he hinted at his idea. The next general election (2019) by the Congress at that time was intended to pave the way for alternative BJP. Talking to the fourteenth and regional parties, the emphasis was laid on the leaders of the respective parties. It is expected that the process of development of the country's progress through intensive discussions with them will be created. KCR believes that it will be easy for them to adopt the suggestions and suggestions for the development of the country. At the second stage, he will be meeting with military, air force and naval crew. leaders than they are in the country, leading lawyers, farmers' associations, representatives of India to meet KCR. Also, KCR will meet the leaders of the Union and State Governments staff who are retired. Media organizations accelerated KCR preparations for meeting with journalists, entrepreneurs and representatives of trade unions. He will also meet with Finance Secretary at the Center and State level.With his ideas, national development and all welfare welfare aims to hold meetings in cities like cities like Hyderabad, Delhi, Kolkata, Mumbai, Chennai and Bangalore, as the meetings are held in the respective categories. Chhattisgarh Chief Minister Chhattisgarh Janata Party Congress leader Ajit Jogi today supported the issue. 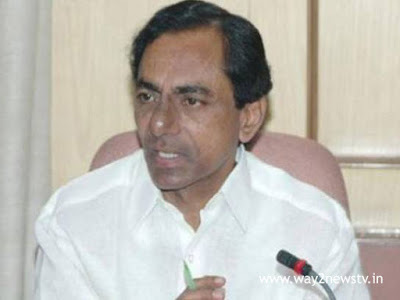 KCR said he was ready to become a partner in the new frontier. Taking the Telangana movement successfully,He praised that he achieved a separate state . He is a great leader with the victory of the movement and he says that he will climb higher peaks, Ajit said. He announced that he would support in consultations with national level leaders in support of him.